Swarming bees have no home to defend and their only concern at that point is finding a new one. Don’t panic, call a beekeeper! Spring is a busy time for beekeepers as this is the time of year when honeybees swarm. 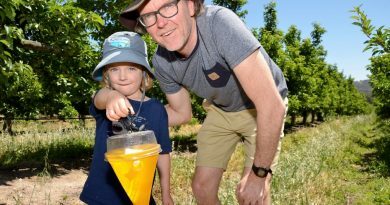 Castlemaine beekeeper Daniel BeeShepherd from the Castlemaine Bee Sanctuary recommends that if people see a swarm of bees that they stay calm and contact a beekeeper. “Seeing so many bees in once place can be very intimidating but this is as docile and gentle as honeybees ever get,” Daniel says. Swarming is the European honeybee’s natural method of reproduction on a colony level. They are the only species of bee that do this. In spring, the queen increases her egg laying and the colony population sharply increases. 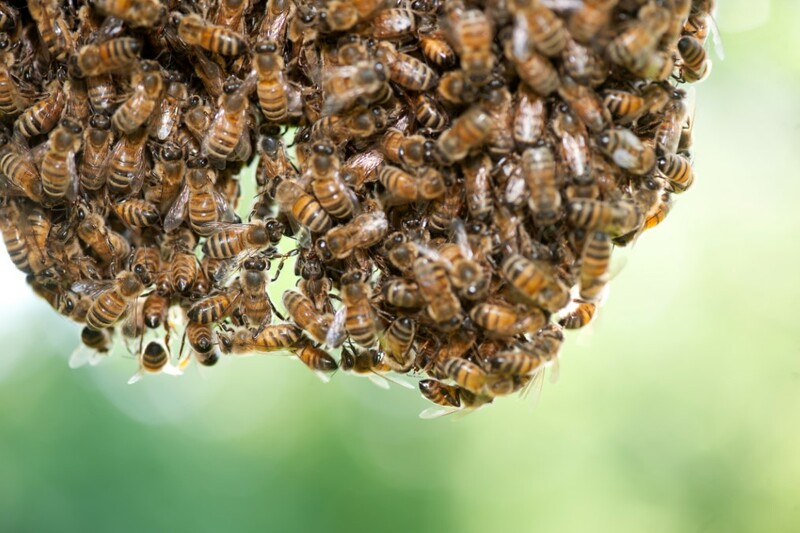 When the hive becomes overcrowded, about half to two-thirds of the bees leave with the queen to try to establish a new home somewhere else. 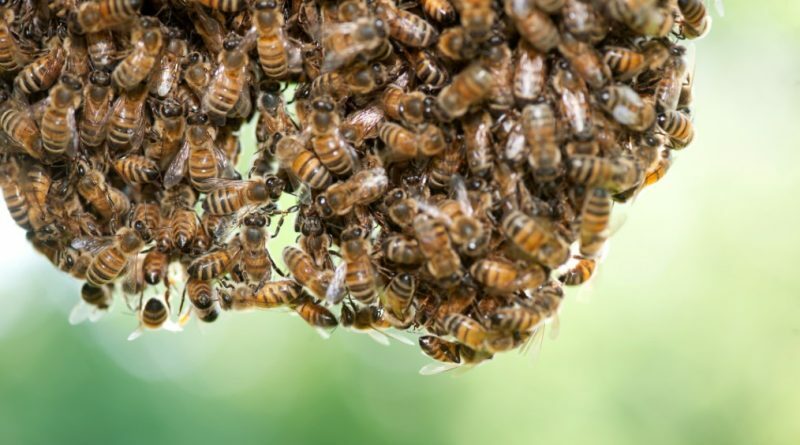 A new queen takes over the bees in the colony that are left behind. “As thousands of bees leave the hive, they form a huge cloud and then settle in a cluster, usually on a nearby branch. 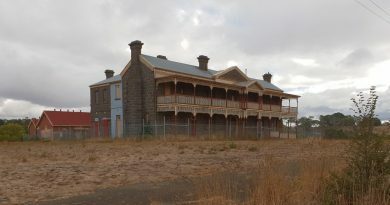 They can stay in that cluster for a few days while they send out scouts looking for a place to make their new home,” Daniel says. What people should do if they see a swarm: Don’t panic and call a beekeeper. 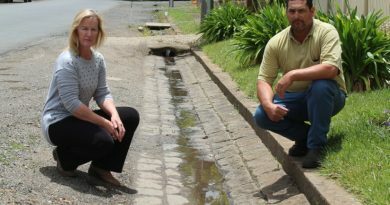 Edgecombe Street residents Helen and Dale Gillis are fighting a council plan to rip up the 180-year-old bluestone guttering in their street.